Updates from across sectors, including launches, initiatives, awards and recognition. 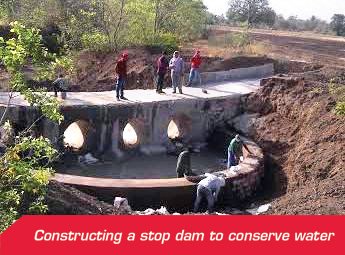 (IWMP), the Company has completed work on three stop dam structures, five farm ponds and four gabion structures for soil and water conservation in a month. The structures have been constructed using scientific methodology and will benefit more than 50 families in the project area. 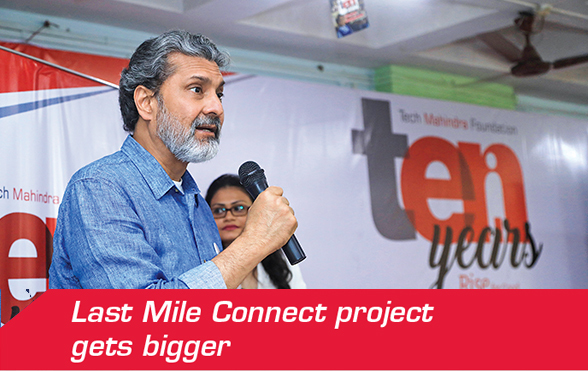 The project is aligned with Mahindra’s vision to ‘Deliver Farm Tech Prosperity’. R&D Centre with keen interest. At the meeting with SsangYong employees, he expressed his gratitude to them for their efforts to achieve turnaround and highest ever sales and revenue in 14 years. After test-driving the G4 Rexton, Mr. Mahindra said, “In terms of design, convenience features, safety and performance, everything is satisfactory”. The Mahindra Hybrid Wind-Solar set up was inaugurated at Khetripada, a small village located just 139 kms from Mumbai. 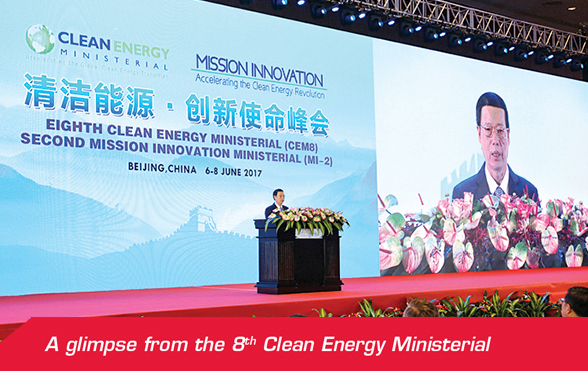 The first Hybrid 5KW Wind–10KW solar project was inaugurated on May 10, 2017 by Capt. Abhay Lambhate, Sector CSR Head and Umesh Joshi, Sector Sustainability Head in the presence of the Sarpanch Anil Maule. The project will help light up the lives of 34 households. As part of the Zero Fatality Corridor (ZFC) project, one of the key objectives is to ensure that the Mumbai-Pune Expressway communicates with the commuter to make their journey safe and convenient. Since it is not feasible to rebuild and redesign curved roads, the only counter-measure for this is to install advance warning Chevron signages for the driver. Hence, M&M has decided to place a total of 488 Chevron signages along the Mumbai-Pune Expressway, out of which 166 Chevron markers have been successfully installed across the Pune corridor. of products under seven categories from the customer’s point of view. The categories include user convenience, efficiency, functionality, sensory quality, safety, maintainability, and price. The G4 Rexton was highly praised for the best sensory quality based on its space-focused design, comfortable seats, innovative infotainment system, best-in-class driving performance and safety. SsangYong had won the award in 2015 with its best-selling compact SUV, the Tivoli. SsangYong Motor launched the SsangYong Rallycross Cup (SRX Cup) within the Belgium Rallycross Championship organised by the Belgium Off Road Association (B.O.R.A). 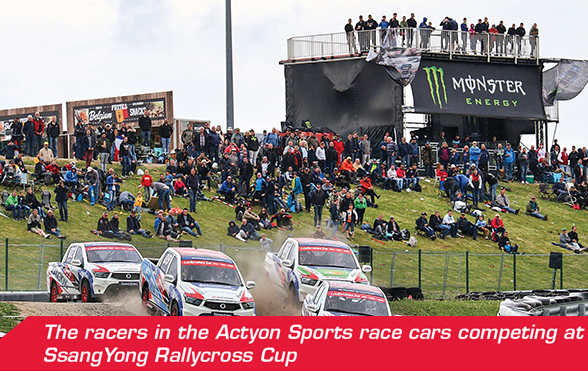 The racing competition, a rallycross pick-up cup around SsangYong cars, consists of six rounds from March 2017 to November 2017. In June, Round 4 was held successfully at the Estering Circuit, Buxtehude. SsangYong Motor unveiled its large premium SUV G4 Rexton in a world premiere at the Seoul Motor Show on March 30. The G4 is meant to represent the ‘Great 4 Revolution’ in driving, safety, style and high-technology. The new G4 Rexton marks Korea’s first Quad Frame SUV. The automaker partnered with South Korea’s largest steelmaker Posco to develop a high-strength steel SUV that emphasises both safety and performance. By using Posco’s giga steel, an ultrahigh-tensile strength steel rated at 1.5 gigapascal, the carmaker will improve the strength of the quad frame while making it lighter than the previous type. In addition to its enhanced safety, the vehicle’s full-frame body and rear-wheel drive system will improve both the ride and the driving performance. Continuing its exemplary journey of innovation in the automotive industry, Mahindra recently launched a technology bundle–Technopack– which aims at redefining the in-car experience of users. It helps them stay connected in the fast-paced digital world they live in and revolutionise the mobility space. 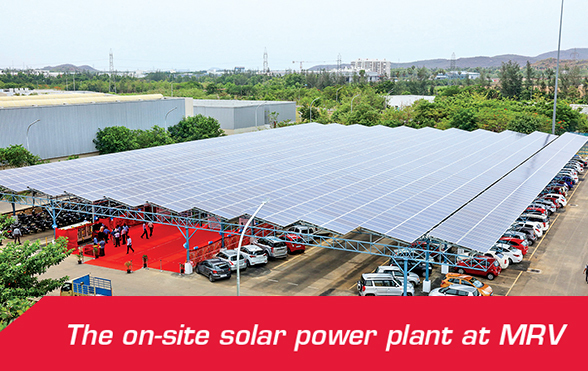 An on-site solar power plant was inaugurated at the Mahindra Research Valley by Dr. Pawan Goenka, MD, M&M Ltd. The plant will cater to a portion of the site’s power requirement through green energy. Installed on Opex model, the newly inaugurated plant has a capacity of 420KW. The structure is capable of withstanding a wind speed of 180 kmph and would generate 7.25 lakh units per annum. 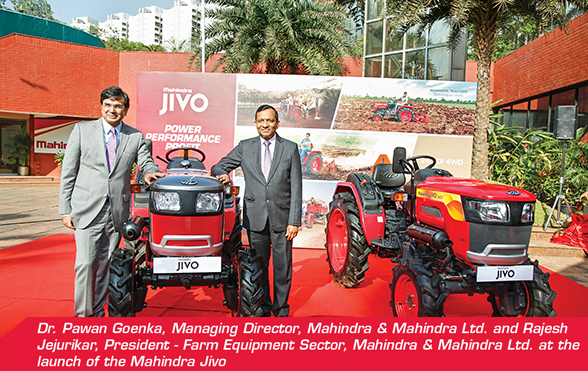 Mahindra recently launched the Mahindra Jivo, a 24 HP tractor for small landholders. This new tractor is the outcome of months of hard work, collaboration and understanding the needs of famers and customers pan India, post successful testings and trials. The Farm Division’s Nagpur plant started its FY 2017-18 journey in a grand way with a National Level Innovation Award - Best Kaizen in the Innovation Category. Recently, the Nagpur Plant participated in the CII National Level Award in the 30th Kaizen Conference and Competition for the Project of ‘Smart Factory – Plant Cockpit, a Digitisation Approach’. This was the first ever National Level CII award won by the Nagpur plant in the Innovation Category. Farm Division Kandivali won the sought-after Machinist Super Shopfloor Award 2017 under CSR category in the Large Enterprise Segment 2017. Instituted in 2015, this was the third edition of the Annual ‘Machie’ Awards of ‘The Machinist’, a publication of The Times of India Group, Worldwide Media Pvt. Ltd. (WWM). 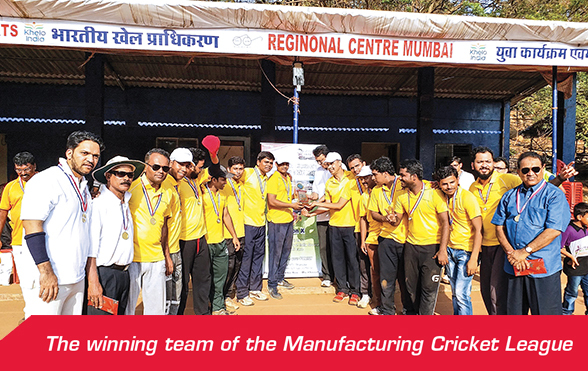 In its tenth consecutive year, the Manufacturing Cricket League (MCL) was conducted at the Sports Authority of India ground, Kandivali. MCL is not just another cricket extravaganza, but an event where people from different departments come together, play pure cricket in its true spirit and display true ‘Sportsmanship’. This year, the MCL-X was organised on April 15, 2017. M&M became the proud recipient of the Clarivate Analytics India Innovation Award 2016 for its outstanding innovations and innovative practices over the last three years. The award recognises the most innovative companies in India based on patent-related metrics that identify the true innovators. This analysis is done using the proprietary patent analysis tools. M&M stood tall as the winner among 50 other innovative organisations from various sectors. Mahindra’s recently launched mobile application, ‘MyAgriGuru’, which is available for free on the Google Play Store. The app is a unique platform that aims to bring all the farmers and agri-experts across the country on to a single platform. It has crossed 1.5 lakh users within five months of its inception. So far, over 7,000 interactions have taken place on the platform covering 67 crops. 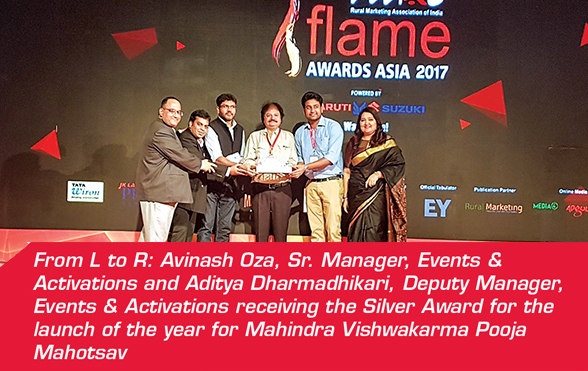 Brand Mahindra Tractors won five RMAI Flame Awards in various categories at an awards ceremony held in Delhi by the Rural Marketing Association of India. The Company won awards in the following categories: Best Use of Social Media, New On-Ground Property of the Year, Launch/ Re-launch Event of the Year, Agriculture & Allied Campaigns (Effective use of technology in Agri/Livestock Initiatives) and Agriculture & Allied Campaigns (Farmer Connect). 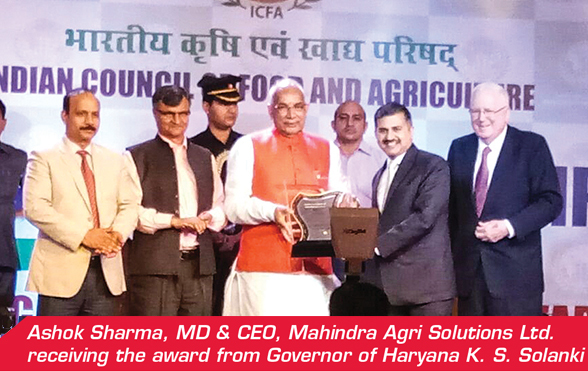 Mahindra Agri Solutions Ltd. was awarded the prestigious Corporate Leadership Award 2017 during the 10th Global Leadership Awards organised by the Indian Council of Food and Agriculture (ICFA). These leadership awards were instituted in 2008 for recognising excellence and leadership roles played by individuals and organisations towards the development of Indian agriculture. The 2016 Moto3 season saw several dreams come true for Mahindra Racing. Chief amongst these memorable moments was a historic first win at the TT Circuit Assen. 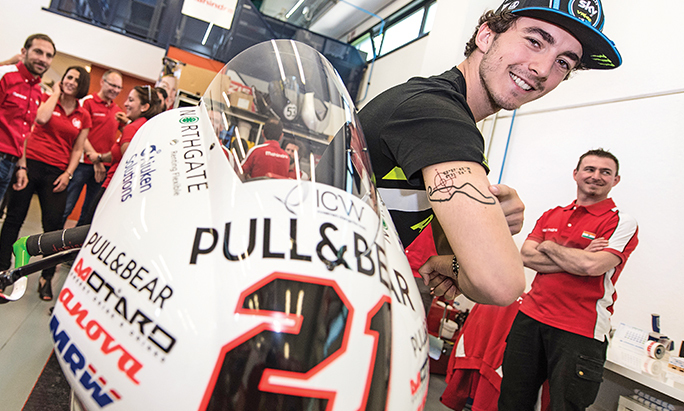 Francesco ‘Pecco’ Bagnaia was the talented rider who pushed the MGP3O to the limit at the Dutch track, achieving both his and Mahindra’s dream of a first Grand Prix victory. Pecco, then went on to take a second victory later that season, dominating the Malaysian GP and cruising to a cool seven-second win. Aside from his two remarkable wins, the Italian took a further four podiums for himself and Mahindra in 2016 alongside a sensational pole at the British GP. Besides Pecco’s heroics, the MGP3O took a historic first and second double podium at the Czech Grand Prix, rounding off a phenomenal season with three race wins and a total of eight podium finishes. Germany, France and Australia. 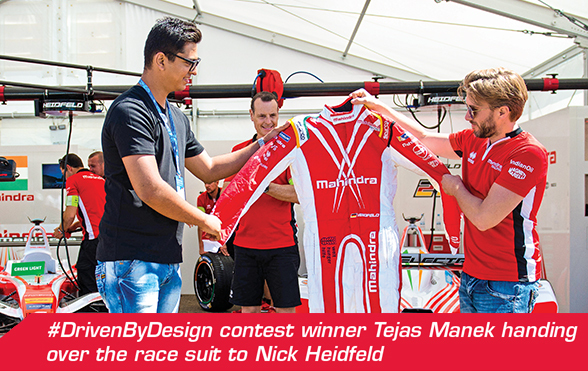 The 23-year-old design student from Pune got the opportunity of a lifetime when he travelled to Berlin to present Nick with the actual suit he designed. In addition to meeting Nick, Tejas got to see his design racing around Berlin’s iconic Tempelhof Airport at the Berlin ePrix on June 10, 2017. Mahindra Racing secured a historic maiden victory in the FIA Formula E Championship with a double podium in Round 7 at Berlin. 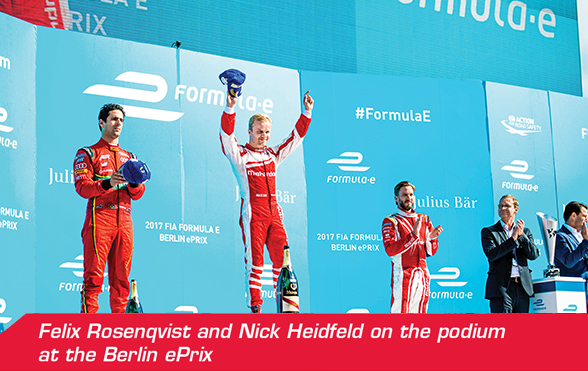 Rising Swedish star Felix Rosenqvist scored his own maiden win with a mature drive at the temporary Tempelhof Circuit, finishing at the top of the podium with his German teammate Nick Heidfeld in third. Ethiopia is one of the fastest growing economies in the African Continent and in fact in the world. Strategically located at a crossroads between Africa, the Middle East and Asia, this country is the second most populous country in the African continent and has a large, young ‘ready to deploy/employ’ workforce. 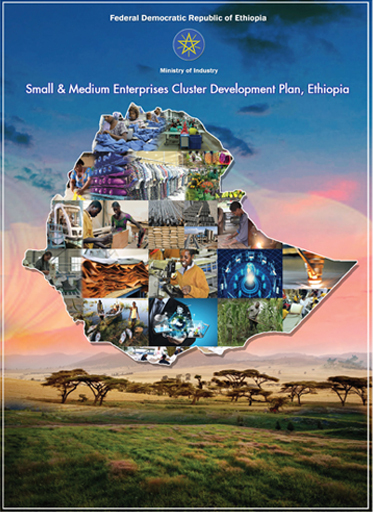 Having understood the strategic growth plan of Ethiopia, Mahindra Consulting Engineers (MACE) factored their objectives and played the crucial role in the setting up of Regional Industrial Clusters (RIC) for Small and Medium Enterprises Clusters Development Plan (SMECDP) in two regions of Ethiopia: (i) Amhara regional state and (ii) Oromia regional state. These clusters were designed to engage in local and export markets, in addition to creating much-needed jobs for their well-qualified and aspiring youth. 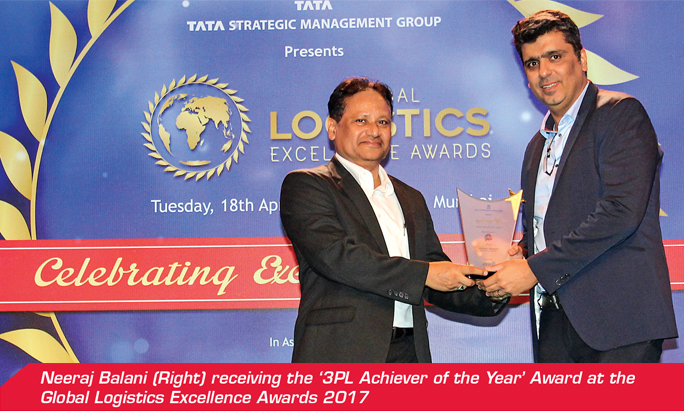 Mahindra Logistics recently won the ‘3PL Achiever of the Year’ at the Global Logistics Excellence Awards 2017, for the second consecutive year. 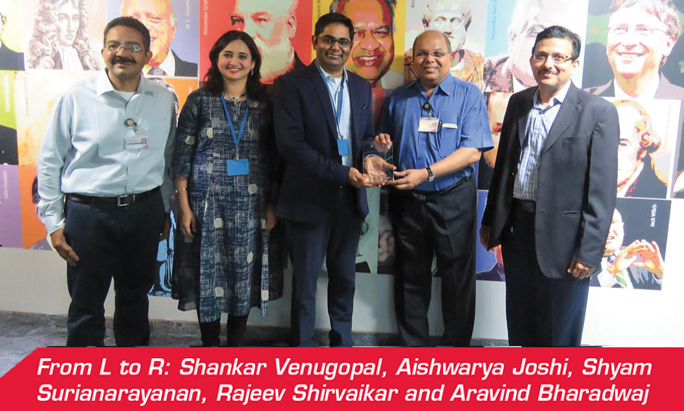 The award was conferred by a jury comprising members from Logistics Asia and users of supply chain services post multiple rounds of presentations. The Logistics Asia Awards recognises excellence in logistics and supply chain industries. 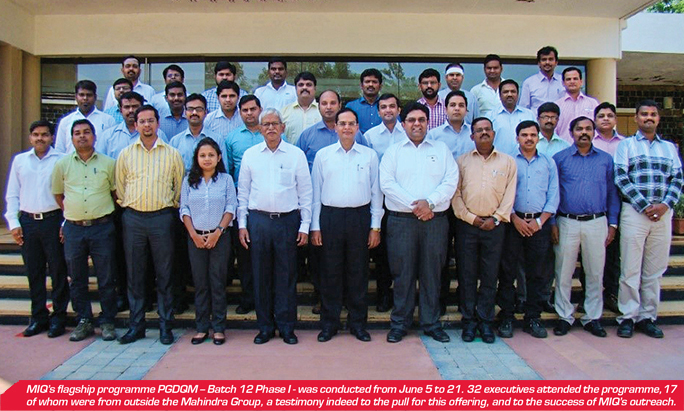 MAHINDRA SUSTEN IS A GREAT PLACE TO WORK! 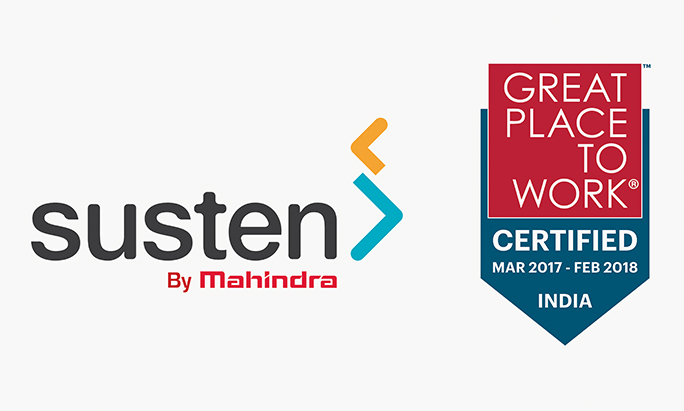 Mahindra Susten has recently been recognised as a Great Place to Work. It has joined 8,000 organisations across 50+ countries. The Great Place to Work® Certification Programme follows a rigorous assessment process on practices, policies and cultures and is the first step for an organisation in its journey to build a High-Trust, High-Performance Culture™. 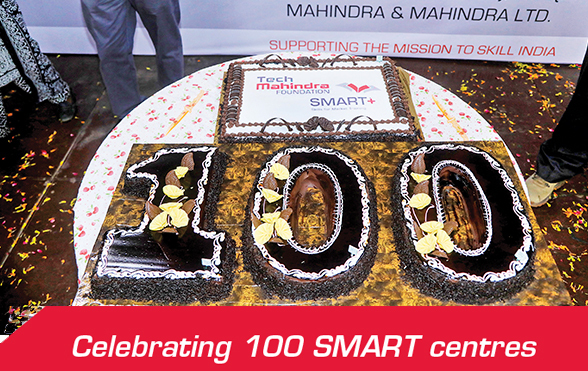 We are pleased to share that Mahindra Susten has successfully accomplished this milestone. racing series – the Nexa P1 Powerboat Indian Grand Prix of the Seas. This one of a kind motorsport event featured the best P1 SuperStock racers from Asia, Europe and the US. 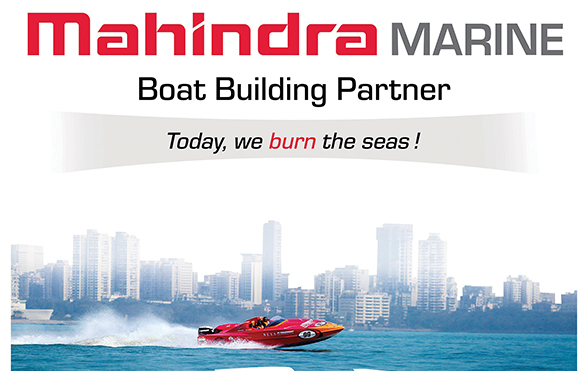 Mahindra Marine was the official boat building partner of the event, and going forward, plans to manufacture the mighty P1 powerboats! Mahindra Two-Wheelers flagged off the first-ever Mahindra MOJO ‘North East Trail’ from Guwahati. The MOJO Tribe will scale over 2,700 Kilometres of wilderness, unforgiving temperatures and stunning sceneries. 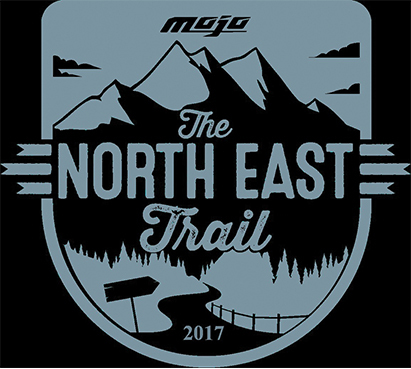 The MOJO Tribe will set off to conquer the hidden beauty of North East India on their first trail for 2017. From the mighty Himalayas to miles-wide flat river basins, dense jungles to barren sandy plains, this is any biker’s ultimate paradise. The Chatbot, an ‘interactive assistant’ to employees, was recently launched. The tool helped employees through personal income tax (IT) filing and was developed by the Finance Academy with the help of the Income Tax, the Information Technology and the Rise teams. The bot was made available to the entire Mahindra Group and received 80,000 hits. 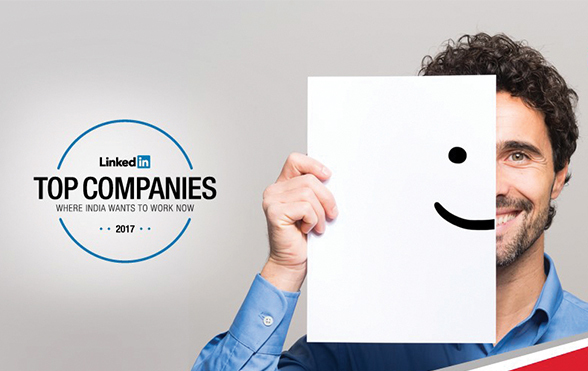 uncover the companies LinkedIn members are most interested in now: job applications, both views and applies on postings; engagement, with employees as well as with the Company directly; and retention, how many employees are sticking around for a year or longer. number 14. 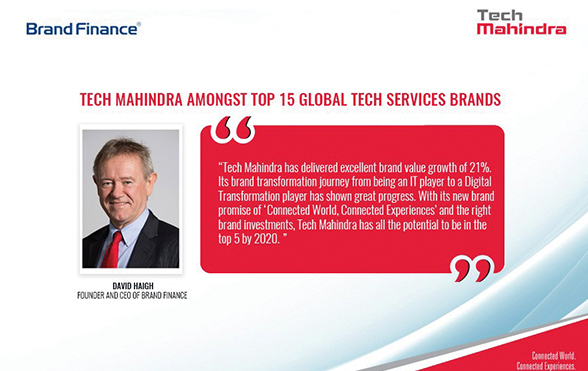 Underscoring this, David Haigh, Founder & CEO of Brand Finance said, “With its new brand promise of ‘Connected World, Connected Experiences’ and the right brand investments, Tech Mahindra has all the potential to be in the Top 5 by 2020”. 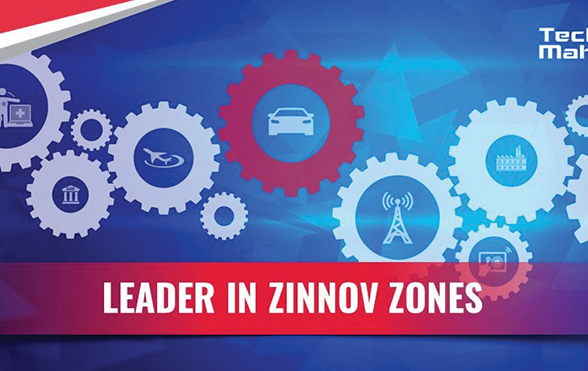 TechM has been positioned as a leader in the 2016 study of Zinnov Zones – Product Engineering Services (PES). The firm has been placed in the Leadership zone across multiple industry verticals and Expansive & Established zone across horizontals. The rating validates Tech Mahindra’s capabilities across parameters including breadth and depth of services. 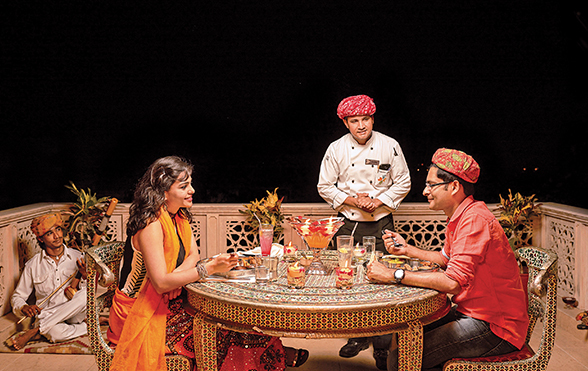 Club Mahindra has been recognised as the country’s Favourite Resort Chain. 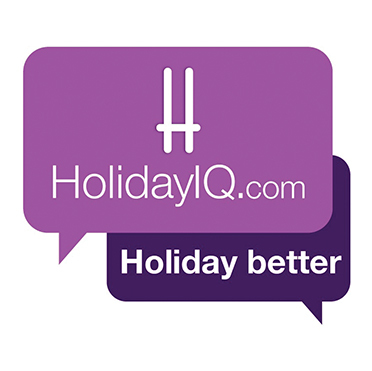 The awards are instituted by HolidayIQ, India’s largest travel community, to appreciate efforts of hospitality players who have managed to not just meet but exceed the discerning requirements of 15 crore Indian travellers. The winners of these awards represent the pinnacle of excellence in the Indian Tourism sector. 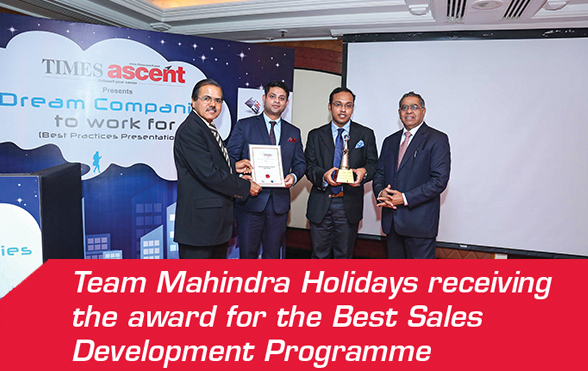 Mahindra Holidays received an award for the Best Sales Development Programme at The National Awards for Excellence in Training and Development. The awards are organised by the Human Resources Development Management Committee of the World HRD Congress. It is the only award that gives public recognition for achievements in training and development to individuals as well as companies. Club Mahindra emerged as the Gold winner, while Treebo Hotels & JW Marriott were given Silver and Bronze awards, respectively. The awards, which were instituted by India’s leading digital and social media industry body, witnessed entries from more than 130 brands in 25 categories across various industries. 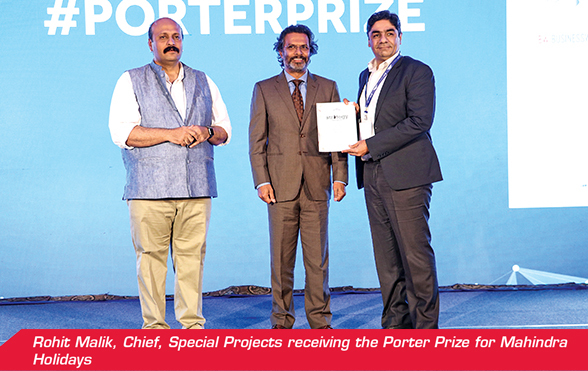 Instituted in the name of the renowned economist, speaker, author and academician, Michael Porter, the Porter Prize recognises strategic acumen of corporates in India. 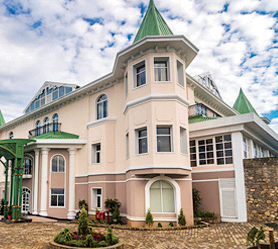 Club Mahindra had applied under two categories, ‘Enabling social progress’ and ‘Creating distinctive value’, and won the award for the latter. The Company was recognised for Bliss and for creating differentiated value for a particular segment, by understanding their needs and offering a distinct proposition. Mahindra Holidays, India’s largest leisure holiday company, is now a Great Place to Work® – CertifiedTM by the Great Place to Work® Institute. Mahindra Holidays strives to ensure a stimulating environment for the best talent to thrive and succeed. The HR practices are designed to empower its human resources to make each ‘Moment of Truth’ with the customer a magical one. Situated 18 kms to the northeast of Shimla, Naldehra is blessed with Himachal’s unspoiled charm. In this backdrop of Himachal’s natural bliss is Cub Mahindra’s latest offering: Pristine Peaks Naldehra. Built in the traditional style of the region, the resort boasts of rooms having balconies providing an incredible view of Naldehra. Pristine Peaks Naldehra further strengthens Club Mahindra’s presence in Himachal Pradesh, making it the 6th resort in the region where the members can holiday. 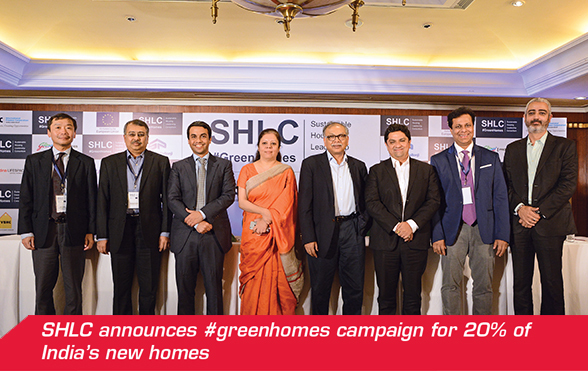 its #greenhomes campaign for 20% of India’s new homes to become green by 2022. SHLC will identify scalable, efficient technology that brings down the costs of going green and will work closely with the government to create a supportive policy environment in India. A massive multimedia awareness campaign is being leveraged to reach seven million people, galvanising public opinion on green homes. Scale Building Efficiency Action’ at the transformative, global energy event. This round table focused on how national governments can help engage cities and business to work together to increase the efficiency of building stock, on the opportunities for vertical alignment at different levels of government, and ways to accelerate key national policy levers. Mahindra Lifespaces was ranked 29th in the list of Great Places to Work in India, in the ‘Mid-sized Companies’ category. 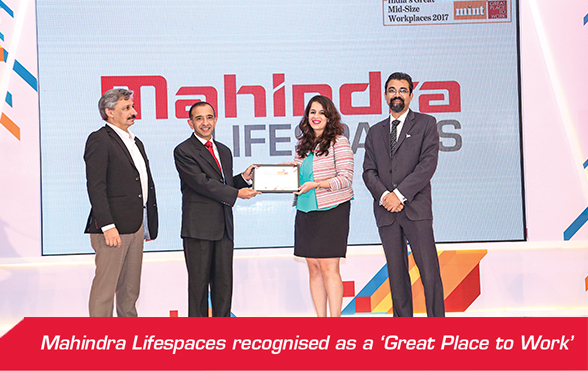 Mahindra Lifespaces has been anointed a ‘Great Place to Work’ for the past three years in a row and its scores on the survey have consistently improved year-on-year. The study looks at workplaces from the employees’ perspective and assigns a two-third weightage to the voice of employees. Mahindra World City, Chennai, was a winner at the Golden Globe Tigers Awards, presented by the Asian Confederation of Businesses. MWC Chennai was conferred the award for ‘Best Environment Friendly Project’ for being India’s first food-waste free city. The awards recognise global best practices and initiatives in Sustainability. In April 2017, MWC Jaipur hosted a senior government and trade delegation representing the Smolensk region in Russia. The delegation was led by Alexey Korchin, Head of Representative of Smolensk Region Office in Moscow; he was accompanied by Edislav Veselskiy, Head of Investment department and Atul Upadhyay, Managing Director, Star Overseas Pte. Ltd. The visit was organised by the Confederation of Indian Industry (CII) and included interactions with senior state government officials and business-to-business meetings. MWC Chennai signed up 4.15 acres with Casa Grande in its Domestic Tariff Area for developing a Built-to-Suit facility for NCR Corporation. NCR Corporation already has a 6.45-acre ATM manufacturing facility, operational since 2015 at MWC Chennai. 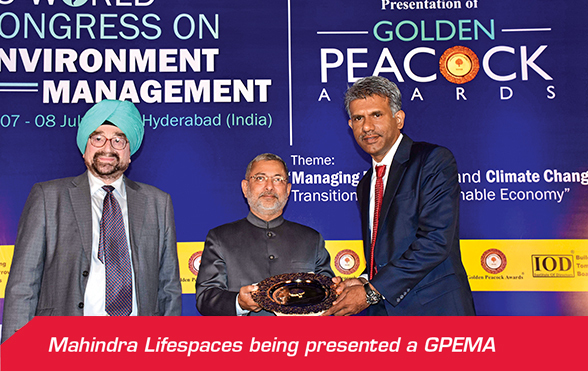 Mahindra Lifespaces was presented the prestigious ‘Golden Peacock Environment Management Award’ (GPEMA). The award acknowledges Mahindra Lifespaces’ initiatives and efforts in enabling environment management within the organisation, while also establishing benchmarks and best practices for the larger real estate ecosystem in India. Mahindra Lifespaces was the only real estate company to be presented the GPEMA this year. Several sports tournaments and championships were organised throughout the year at MWC Jaipur as part of the ‘Mahindra Champions League (MCL)’. This ensured a vibrant community buzz at all times. In May 2017, MWC Jaipur organised the first-ever MCL Table Tennis tournament. The event witnessed enthusiastic participation by employees of 13 companies located at MWC Jaipur. 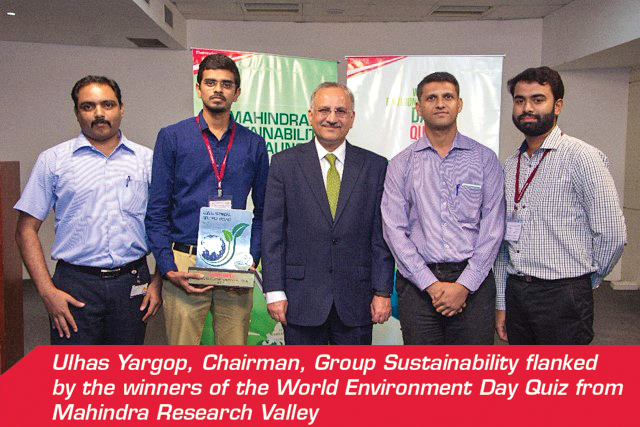 Winners represented companies such as Infosys, Nagarro, Metlife and Appirio, among others. April-June 2017 was a busy and productive quarter for Mahindra World City (MWC), Jaipur, with a new customer signed, facility inaugurations and other events. Global Stones Pvt. Ltd., a leading export house located in Jaipur, signed up for a 6-acre plot in the Engineering and Related Industries SEZ within MWC Jaipur. Rajendra & Ursula Joshi Food Industries Limited (RUFIL) inaugurated its brand new dairy processing plant at the Domestic Tariff Area within MWC Jaipur. Star Rising Energy Pvt. Ltd. inaugurated its electrical component manufacturing plant at the Domestic Tariff Area (DTA) within MWC Jaipur. Business – India’. 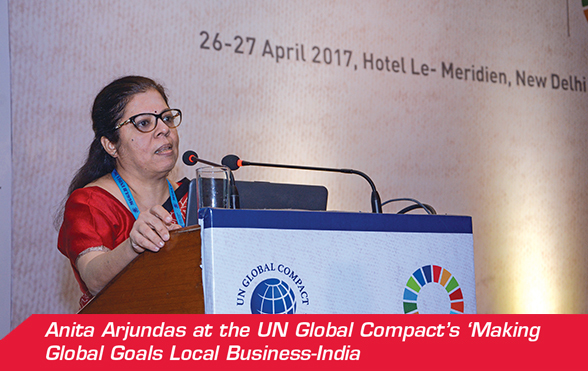 Anita Arjundas, Managing Director, Mahindra Lifespaces addressed the closing plenary session at the event and spoke about ‘Driving Bold Innovation for the SDGs’. Anita highlighted the need to futurise urbanisation through accessible, frugal and collaboration-driven innovation. 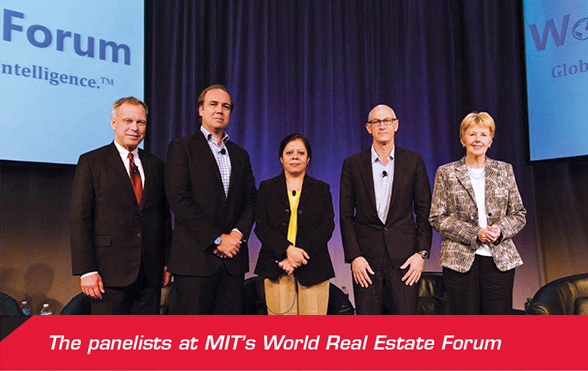 academia to discuss current and future issues impacting global real estate, while identifying potential solutions. Panelists represented multiple countries including Argentina, Australia, Brazil, Canada, Great Britain, Hong Kong, Mexico and, of course, India. Anita Arjundas, Managing Director, Mahindra Lifespace Developers Ltd., addressed the audience at the event as part of a special panel on ‘Building City 3.0 – The Role of Development in our Urban Futures’. Dinesh Pillai, CEO, Mahindra Special Services Group was on the panel of a Webinar – WannaCry: Don’t Just Cure, Prevent. EC-Council organised a panel discussion and live interaction with the participants over a webinar which was addressed by India’s leading cybersecurity experts. The expert panel also consisted of Burgess Cooper, Partner, EY; Manish Tiwari, Chief Security Officer, Microsoft India; Munish Gupta, Principal Infosec, Infosys; Jawahar Surisetti, Education Advisor; Harish Aiyer, MD, Financial Forum of India. 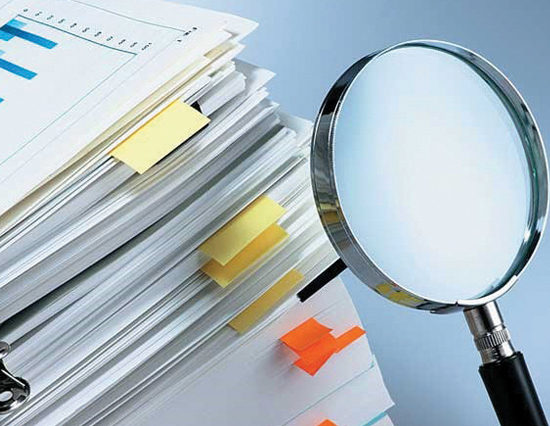 The Economic Offences Wing (EoW) of Mumbai police has appointed Mahindra Special Services Group, an arm of Mahindra Defence Systems, as the digital forensic auditor. The unit will probe into the ` 5,600 crore National Spot Exchange (NSEL) payment crisis. Mahindra Defence, which was picked from a Government approved panel of six such digital auditors, has already commenced the work of auditing the servers of the group entities. school education. As the organisation matured, the leadership realised that school intervention alone is inadequate unless it leads to employability. And thus, SMART (Skills for Market Training) was born in 2012. Till date, the SMART programme has enhanced employability for over 50,000 youth. LAST MILE CONNECT GETS 80 NEW BICYCLES! Vishwavidyalaya and GTB Nagar Metro Stations and the Delhi University campus. Till date, with just 40 bicycles in commission, the project has witnessed a daily ridership of 172 trips, with an average of 2.4 km covered per trip. as dialysis technicians. The Tech Mahindra SMART Academy for Healthcare works towards skilling low-income youth for careers in the healthcare sector by providing subsidised training courses. Ramesh G. Iyer received the most prestigious ‘Asia Pacific Entrepreneurship Award (APEA) 2017 India’ at the APEA 2017 Awards Ceremony held on April 27, 2017 at the Grand Crystal Ballroom, JW Marriott Aerocity, New Delhi. On May 9, 2017, Mahindra & Mahindra Financial Services Limited was ranked first in the Aon Best Employer List 2017. A total of 19 organisations out of the 119 organisations made it to the list. 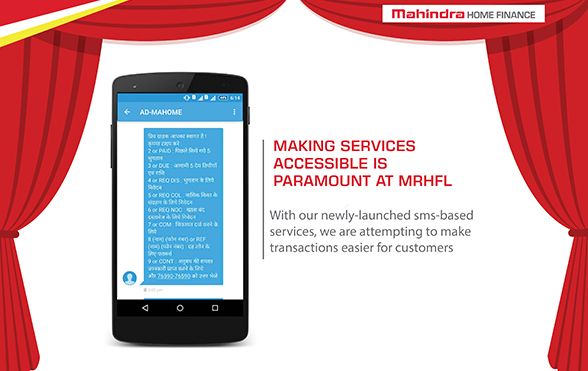 Mahindra Rural Housing Finance Ltd. has launched special SMS services keeping in mind the rural customer who has limited access to smartphones. Through this service, the customer can send an SMS with a simple code to a number, based on which he/she shall receive as a reply, the response. It’s free of charge for the customer and the responses will be provided in local language as per the customer location. MMFSL initiated a Scholarship programme for truck drivers’ children at Vijayawada (Telangana) in December 2016. This was administrated by the K.C. 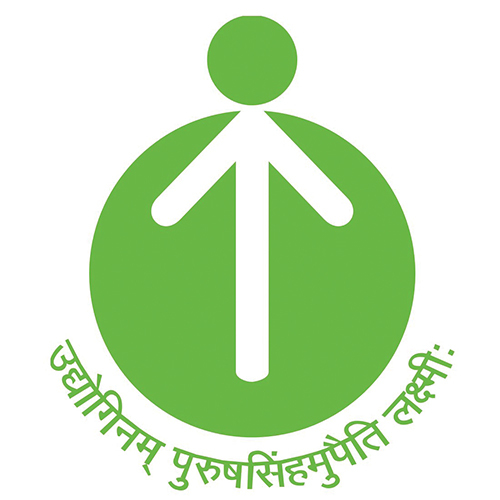 Mahindra Education Trust. The objective was to provide scholarships to the children of poor truck drivers to encourage and enable them to pursue their elementary/higher education. A total of 97 children benefited from this initiative. donation is one such activity which provides medical services to rural communities. 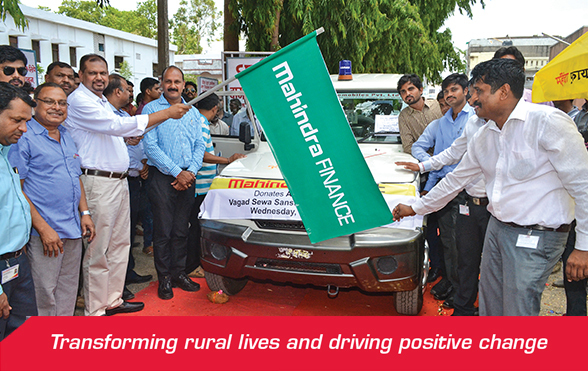 Mahindra Finance sponsored ambulances have made access to primary healthcare centres easy for tribal and rural patients across the nation. During the reporting period, nine NGOs were presented with one ambulance each. based training for women and youth from nearby areas during daytime. 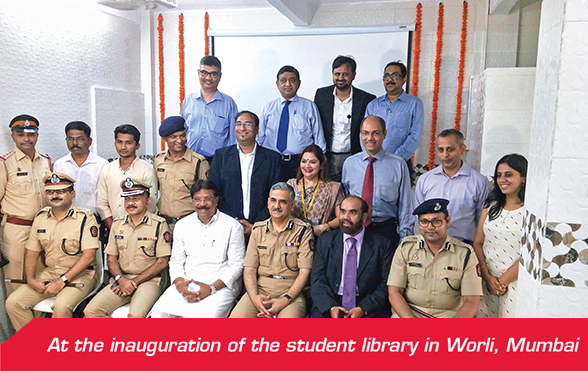 The library was inaugurated by D. D. Padsalgikar, Police Commissioner of Mumbai, Ramesh Iyer, Vice Chairman and Managing Director, Mahindra Finance and Sunil Shinde, Member of Legislative Assembly from Worli Vidhan Sabha constituency. Mahindra First Choice Services (MFCS) and the Entrepreneurship Development Institute of India (EDII) have joined hands to design and deliver an entrepreneurship programme in automotive service. EDII, an autonomous and not-for-profit institute, set up in 1983, is sponsored by apex financial institutions like IDBI Bank Ltd., IFCI Ltd., ICICI Bank Ltd. and State Bank of India (SBI) and the Government of Gujarat. Programmes under this collaboration will equip entrepreneurs with skills and domain knowledge to help them take up roles in the automobile service industry. 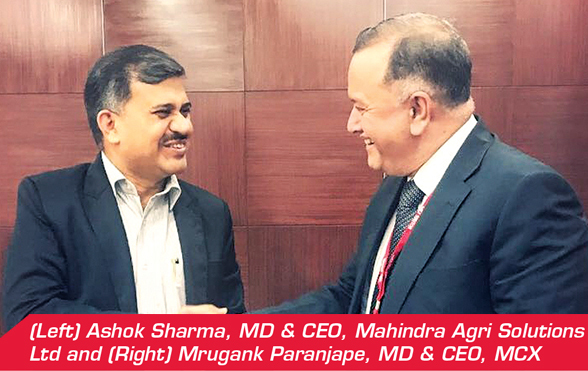 Mahindra First Choice Services Ltd., have entered an agreement with Roger Motors Pvt. Ltd., to supply Technical Car Accessories to the MFCS Franchisee partners which will help them earn additional revenues from the same set of customers. 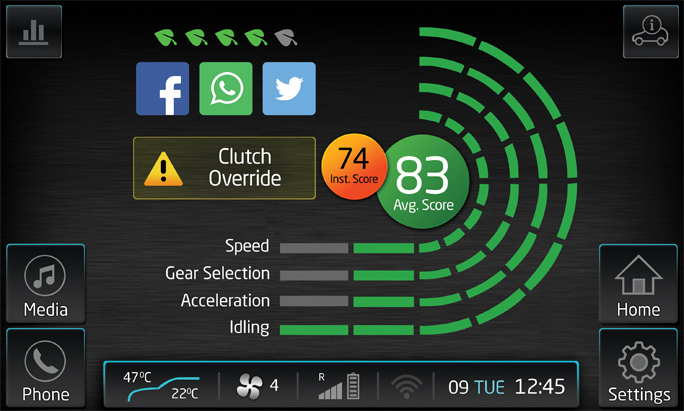 The unique concept of ‘ROGER CAR TECHSSORIES’ is developed from experience and feedback from customers about the trouble faced while travelling on highways and cities. Roger Motors offers customised solutions for known and unknown needs of the car commuters irrespective of driving patterns of any car on any roads. Mahindra First Choice Services launched a Wellness Calendar FY 2017-18 for organising monthly activities relating to health awareness. Every month there shall be activities to ensure well-being of the employees throughout the year like Dental & Eye Check-ups, Hair & Scalp Check-up camps and health talks relating to Diet & Nutrition, Stress Management, Hypertension, Diabetes, Heart Diseases, Osteoporosis, Arthritis or Bone Health, etc. 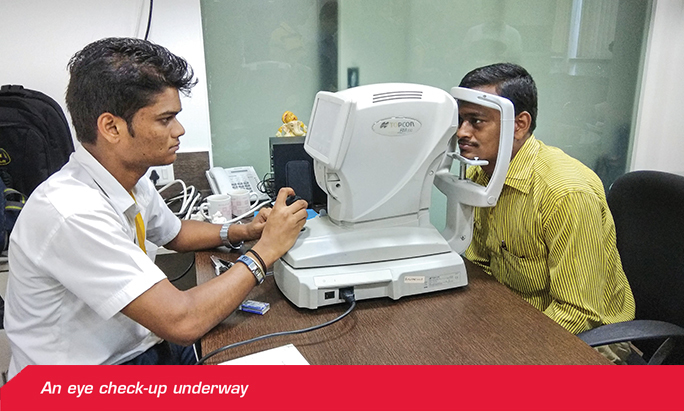 MFCS initiated this programme with an eye check-up camp, wherein 63 employees got eye check-up done at Head Office, Goregaon on June 23, 2017. Till date, financial value creation has been by far the most dominant measure of an organisation’s performance. While financial capital is necessary, it alone is not sufficient for an organisation to generate value. For a cohesive view about an organisation’s performance and its ability to create value consistently, one needs to look at five other capitals along with financial capital – manufactured capital, intellectual capital, human capital, social and relationship capital and natural capital. 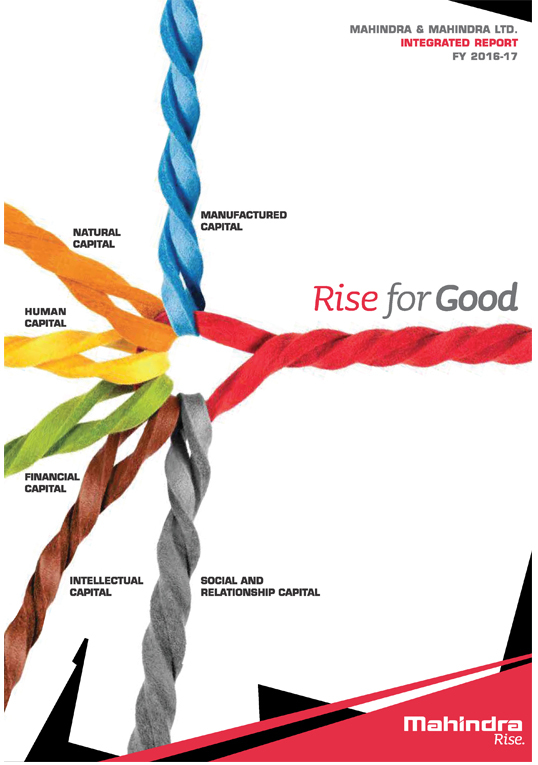 Cognisant of these shifts, Mahindra & Mahindra published its first Integrated Report. 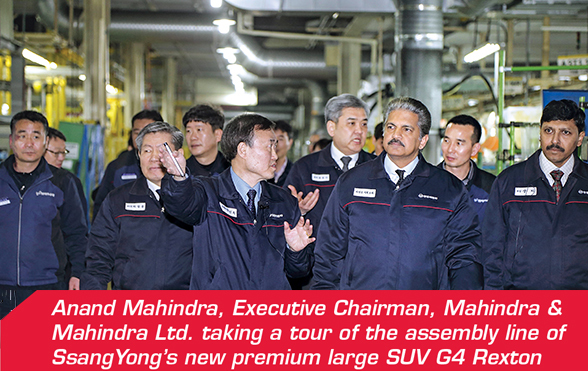 The report was launched at the Annual General Meeting (AGM) at the hands of Anand Mahindra, Chairman, Mahindra Group. Based on the 3E learning approach of Educate, Entertain and Experience, the Mahindra Group organised events around its sectors, locations and plants to mark World Environment Day. 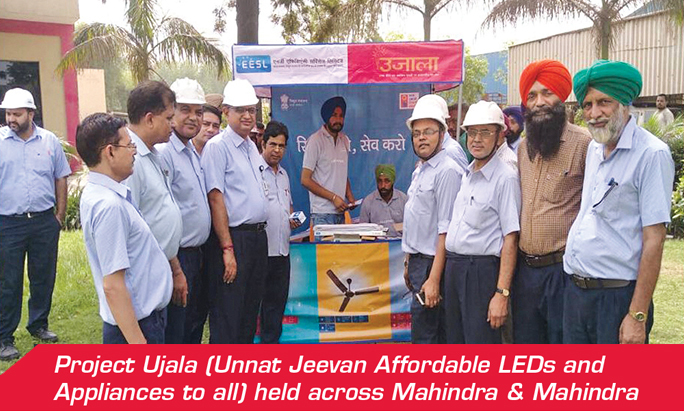 AFS organised sale of LED lights and energy fans through the campaign ‘Ujala’. Mahindra Lifespaces took up activities like cleaning lakes, tree plantation and sapling distribution at its various offices. 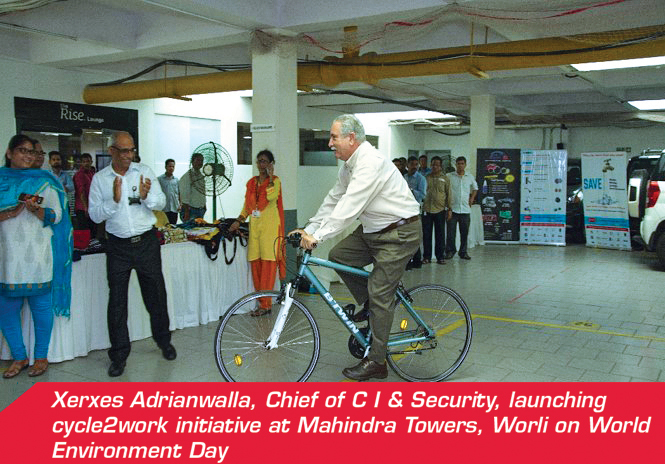 At Mahindra Towers, Worli an annual Quiz Contest based on Sustainability was organised to educate employees on various aspects of Sustainability and what each one can do to reduce his/her carbon footprint. 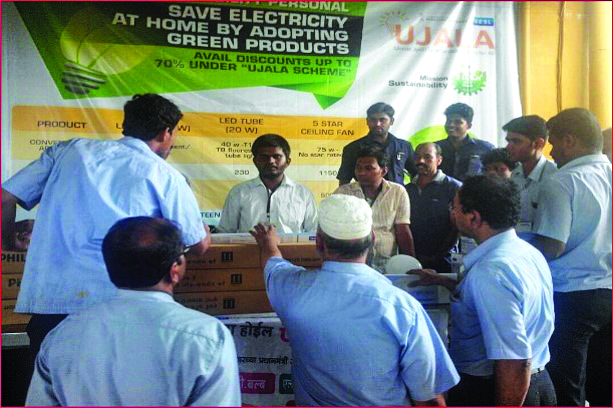 To provide retail therapy to employees, a Green Bazaar was hosted in the office complex, selling LED lights, cloth bags and aerators – again with the specific aim to reduce energy and reuse resources.